In 2010 former Arizona Diamondbacks General Manager Josh Byrnes traded for Ian Kennedy, Three years later now San Diego Padres GM Josh Byrnes traded for Ian Kennedy once again. In Kennedy’s first season with Arizona he showed great potential, so much so it led him to be the 2011 opening day starter. 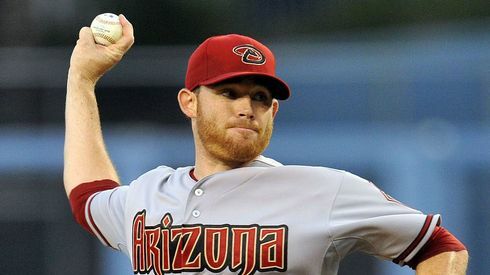 The Diamondbacks made the playoffs in 2011, and Ian Kennedy was arguably the biggest reason why after going 21-4 with a 2.88 ERA. ultimately the Diamondbacks lost in 5 games to the Brewers. In both 2012, and 2013 Kennedy was manager Kirk Gibson’s choice as opening day starter. However Kennedy had a very disappointing 2012 campaign, and was ultimately worse in the follow-up 2013 season. 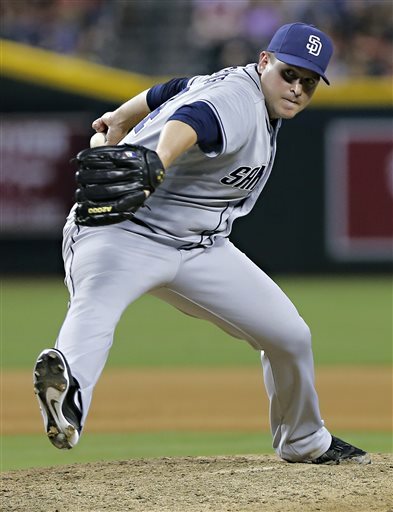 Hours before the 4pm EST trade deadline on July 31st, 2013 it was announced the Diamondbacks have agreed to trade Kennedy to the division rival San Diego Padres for lefty reliever Joe Thatcher, relief prospect Matt Stites, as well as a 2014 Competitive Balance 2nd round pick. While the baseball industry appears to be mixed about the trade, as some feel like the Diamondbacks got very little for Kennedy, while some believe the Diamondbacks got a quality return for the one time Cy Young candidate. Both Padres fans and Diamondbacks fans should like the trade, first it helps the DBacks chances of making the 2013 playoffs, as well as adding a very high draft pick, and a quality pitching prospect. Padres fans hope they catch lightning in a bottle and Kennedy returns to the form that had him as a 4th place finish in the 2011 Cy Young vote. Going forward Ian Kennedy was likely going to be kicked out of the rotation regardless. As the Diamondbacks have very good starting pitching depth with Patrick Corbin, Wade Miley, Trevor Cahill, Randall Delgado, Brandon McCarthy, Archie Bradley, Tyler Skaggs, and even more quality prospects. Ian Kennedy RHP (Padres) Kennedy has a High 80’s, Low 90’s fastball which he throws 60% of the time. He also throws a high 70’s curveball, low 80’s change-up, as well as a mid-to-upper 80’s cutter. Ian Kennedy appears to be a perfect fit for Petco Park, as Kennedy is a Flyball/Strikeout pitcher. Joe Thatcher LHP (Diamondbacks) Thatcher is a lefty specialist who doesn’t have the best velocity, but thrives with great deception. From 2010-2012 has held lefties to an amazing .182 AVG, while righties hit .256 in the same time. The DBacks greatly needed a second lefty in the bullpen, and it doesn’t get much better than Thatcher. Matt Stites RHP (Diamondbacks) (Stites is likely out the rest of 2013 following an emergency appendectomy) Stites is probably the most interesting piece of the entire trade. A 17th round pick of the 2011 draft, Stites has been nothing short of amazing. In 2012 Stites had a 0.74 ERA, with 60 strikeouts and only 3 walks in 48 2/3 innings. In 2013 Stites has been equally impressive in AA posting a 2.08 ERA with 51 Strikeouts and 8 walks in 52 innings. Stites throws a fastball that touches 96 MPH+, to go along with his amazing command is very impressive.